Many artists, actors, singers and musicians who came of age in the 1970s are either nostalgic about what went before them or unhappy at the current state of performing arts in the country. 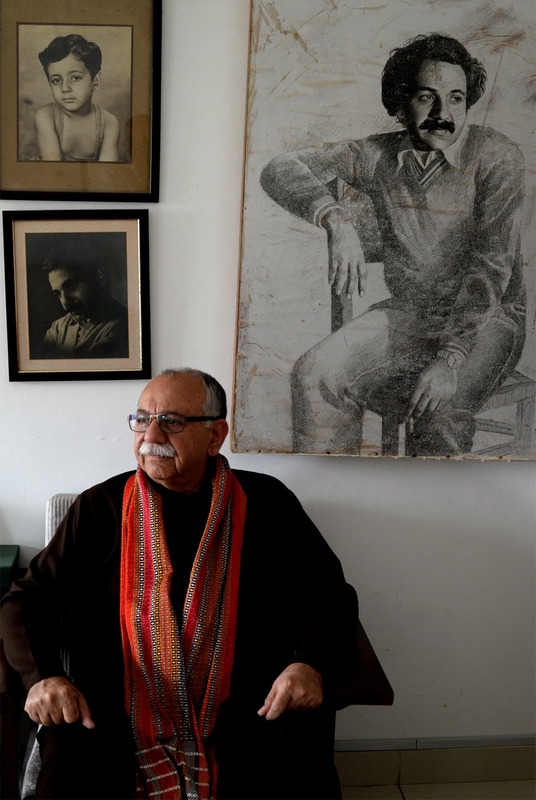 This middle generation – a veritable bridge between the Partition-era past and the millennial present – has, indeed, witnessed monumental changes in the cultural and creative landscape of Pakistan, from one that prized excellence and gravitas to one that seeks success above all else and has no qualms about pandering to the popular. They have also seen irreversible changes in the mediums of artistic expression, from live performances to radio, and from television to digital platforms. Khalid Ahmed and Arshad Mahmood are two very eminent members of this generation. They both started their career in the early 1970s. The former’s initial artistic forays were in theatre in Karachi; the latter’s first job was with Pakistan Television (PTV) in Lahore. After General Ziaul Haq overthrew Zulfikar Ali Bhutto’s government in 1977, Mahmood shifted to Karachi to work with EMI, a recording company. He also continued composing music for television besides appearing as an actor in a number of TV serials. 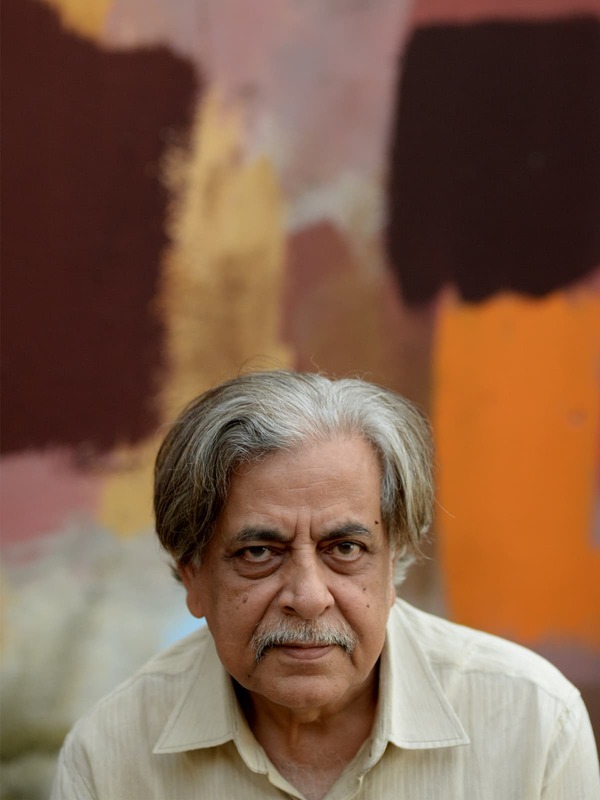 His compositions of Faiz Ahmed Faiz’s poetry, most famously sung by Nayyara Noor and Tina Sani, have won him national acclaim. Ahmed was largely devoted to theatre throughout the 1980s, with occasional appearances on television. 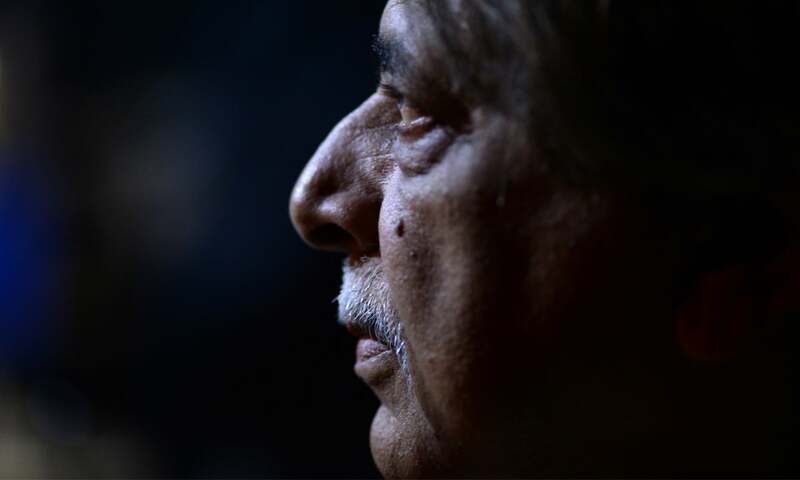 He joined Karachi-based activist groups that resisted Zia’s dictatorial regime through any means possible, including the performing arts. Their work with television started dwindling from the 1990s onwards. It became even more infrequent after they joined the newly set up National Academy of Performing Arts (Napa) in Karachi in the early 2000s to work under the supervision of polymath and polyglot thespian Zia Mohyeddin. Herald. Would it be correct to say that the performing arts, such as music and theatre, are experiencing a decline in Pakistan? Arshad Mahmood. In Muslim culture in the Subcontinent, those from respectable, noble families did not indulge in such things as dance, music and theatre. Those who performed these arts usually came from the lower strata of society. The courts of rajas and maharajas used to have many musicians but hardly any raja himself became a musician or a dancer. There was almost no tradition for theatre. Faiz Ahmed Faiz wrote a remarkable essay on Pakistani culture in which he said arts like singing, music and acting are practised here the way youngsters smoke — hiding it from their elders. There is an implicit understanding among the elders who know they are smoking, but will not say anything as long as it isn’t done in their presence. Similarly, people can dance, sing and act in Pakistan as long as they do not seek public support for it. Khalid Ahmed. Our state has still not been able to decide whether these arts are a positive thing or a negative one; do we want them or not; should we support them or not? And if we should support them then to what extent? Mahmood. We had some big names in Pakistani music till the 1970s. These included Salamat Ali Khan, Amanat Ali Khan, Fateh Ali Khan, Bade Ghulam Ali Khan (who eventually migrated to India), Farida Khanum, Roshan Ara Begum and Mehdi Hassan. Many of them, especially Mehdi Hassan, started becoming famous around the late 1950s — about 10 years after Partition. An artist of his stature and quality is not born or nurtured within 10 years. He had been trained over a much longer period of time. 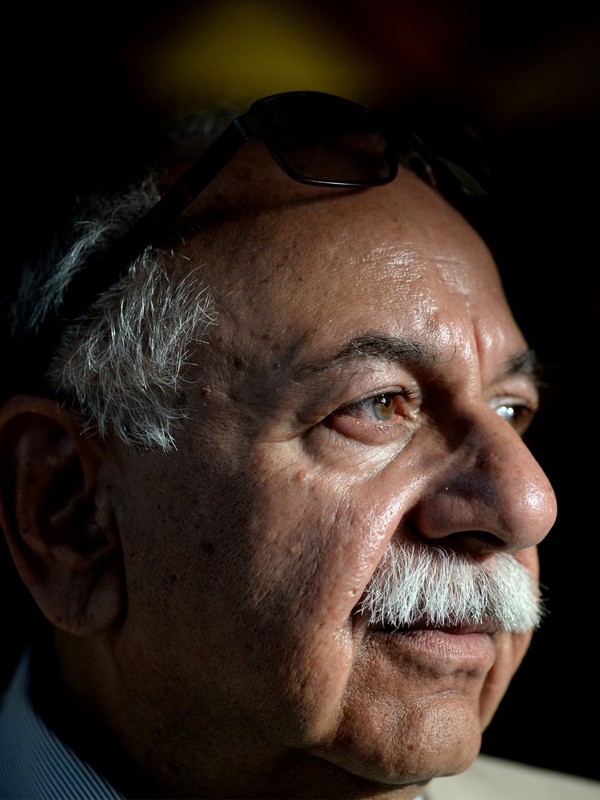 He was more like a bounty which came our way after Partition. The same was the case with other musicians of that generation. They were all part of a great tradition that has been around since the time of Amir Khusrau — one that flourished in royal courts [in pre-British India] and spread from there. Ahmed. Even Farida Khanum received her entire education in Calcutta. She had already received her musical training by the time she came to Pakistan. Mahmood. I would also include Madam Noor Jehan, Iqbal Bano and Chhote Ghulam Ali Khan on this list. They are all products of an established musical system that predates Pakistan. What is our contribution to this system? Herald. This is why we wanted to focus this conversation on post-1971 Pakistan — when a new generation born after independence was coming of age. 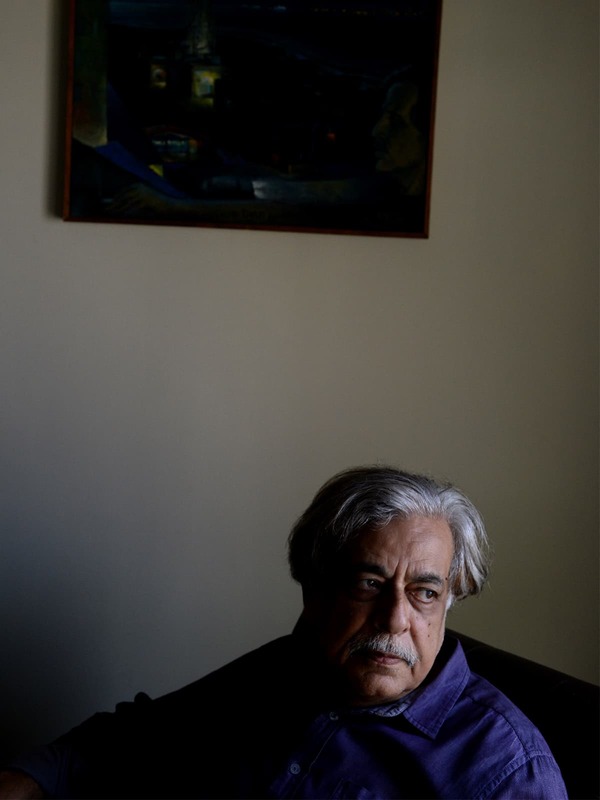 Unlike in Bengal and many other places around the world, Pakistan has never had creative writers who would also write for theatre, much less act in it. Mahmood. I was born in 1950 so I was 21 years old in 1971 and had started working by then. When I was young, I had this realisation that the government was somewhat taking care of art and culture. There must have been some nepotism but I got great opportunities in the 1970s. I was asked to do a weekly television programme that was to continue for the next six to seven years. Every week I had to produce two to three new compositions. I could not sleep at night during those days because I always took my work seriously and kept it original. If I didn’t, I would have faced embarrassing accusations that I had copied my tunes from some Indian song or that my tune matched someone else’s melody. For six years, I was just thinking of music. I used to get 70 rupees per week at the time. It was increased to 150 rupees later. These 150 rupees a week were real good money in those days. Nayyara Noor and I used to eat Chinese food and hang out together a lot [with that money] and yet I was able to save enough to buy a used car for 5,000 rupees. I could pay for its petrol as well. Ahmed. I migrated to Pakistan in 1971 [from what became Bangladesh]. My family first migrated from India to Dhaka and then we came to Karachi. The atmosphere for theatre and music in Karachi was not like the one in Dhaka [which was a major centre of performing arts at the time]. Still, after arriving here we could listen to Farida Khanum, Iqbal Bano and Mehdi Hassan in live concerts at such places as Ghalib Library and Arts Council. 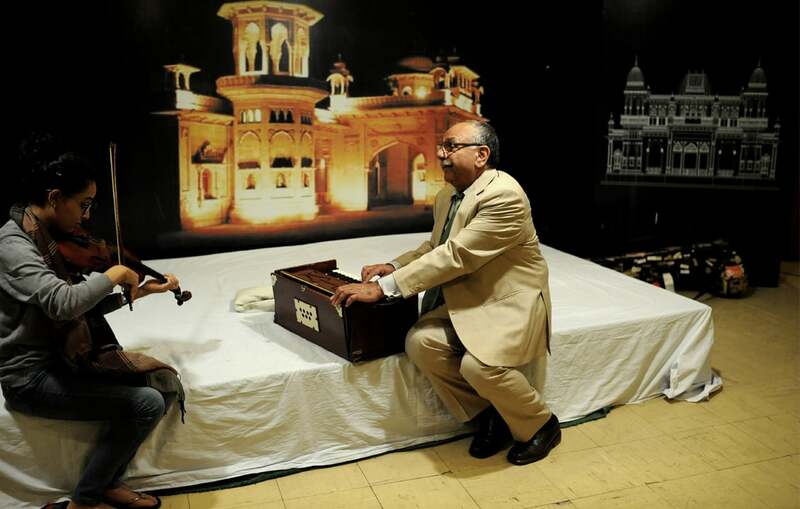 Many classical musicians were also around at the time and, as Arshad Mahmood has said, they all came to Pakistan in the wake of Partition. The state in the 1970s, however, supported artistic activities only occasionally. For instance, Zulfikar Ali Bhutto would sometimes call artists and performers to Islamabad or to his meetings with foreign dignitaries, but such support was not an official policy. Art and culture were not on Bhutto’s priority list. He did not come forward to support them wholeheartedly. Ziaul Haq actively worked to bulldoze the arts but Benazir Bhutto’s government – that came after him – did not try to undo what had happened during Zia’s era. The performing arts were also not on the priority list of Benazir. They have not been on anyone’s priority list. 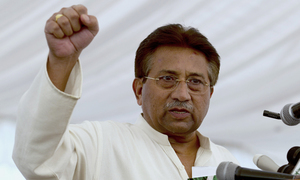 Surprisingly, Pervez Musharraf, a military ruler, was the one person in power who showed some interest and initiative in this regard. It was during his tenure that Napa was established. He supported it. He also supported The All Pakistan Music Conference. Herald. 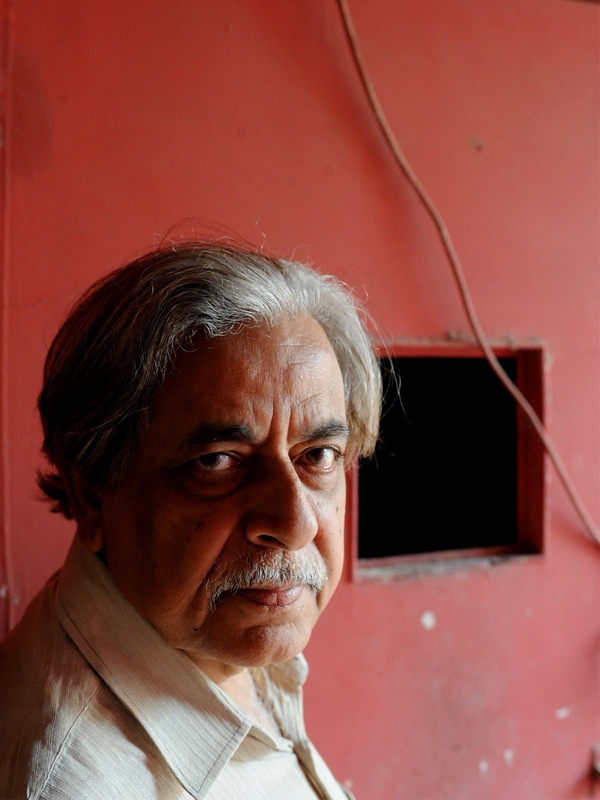 We had people like Ali Ahmed and Kamal Ahmed Rizvi who used to do theatre in the 1960s at the Lahore Arts Council. How do you view their contribution? Ahmed. We cannot say that theatre was thriving due to their work. Kamal Ahmed Rizvi, Ali Ahmed and many others including myself did produce theatre plays but we would do one or two plays a year — whenever we could. But there was no regular theatre which produced plays that ran seven days a week. The few people doing theatre at the time also had to support themselves and there was no way that they could do that with their theatre work. Mahmood. They used to work on their own and nurtured themselves with their own motivation. What is the responsibility of the state here? It is not even giving its citizens the basic human rights of health and education. What we ask is that at least some budget is spent on youngsters who have artistic leanings. They may be given a platform to practise their art because both music and theatre require years of practice. Learning them does not happen in a day. Ahmed. Regular theatre and its training started in Pakistan with the establishment of Napa. It is not that I do not want to acknowledge the hard work and efforts of those who put their heart into producing plays for theatre but, unfortunately, theatre as a regular part of our cultural calendar was not there before Napa came along. Earlier, it was just a hobby for those who were involved in it. Herald. What do you think has been the reason? Do you agree with what Faiz said about the performing arts — that they are something that we have never really been proud of? Ahmed. To me, the problem is that one does not find a middle-class Muslim man living in Pakistan who is accepting of the performing arts as a respectable and dignified means of creative expression. Mushairah (poetry recital) has been the only acceptable form of performing arts for them. 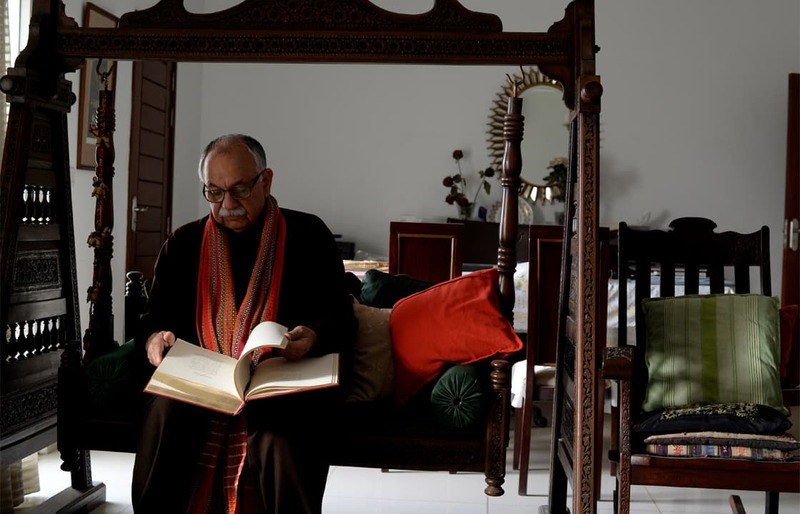 Unlike in Bengal and many other places around the world, Pakistan has never had creative writers who would also write for theatre, much less act in it. Rabindranath Tagore, for example, used to write poetry as well as pen dramas. He would also act on stage. There are a lot of other examples. In England, Shakespeare and Bernard Shaw earned their literary names as writers for theatre. [In Pakistan], literature and the performing arts have been two distinct forms of art, separate from each other. We have hardly seen our writers attend a classical music performance or sit among the audience at a theatre play. Herald. Where do you place someone like Agha Hashar Kashmiri who was known as the Shakespeare of India? Mahmood. He was an exception and he did not have the regular life of a middle-class man. He was not the kind of a man who rears a family. He had his expensive habits and towards the end of his career he had started living with actors and singers. He became one of them. Ahmed. 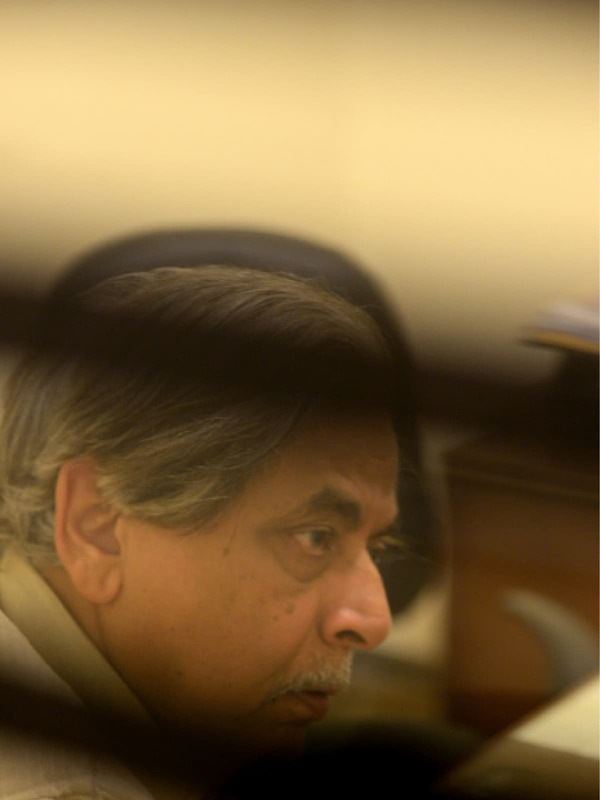 Zia Mohyeddin has written, in his book about the history of Urdu drama, that the true benefactors of theatre in the Subcontinent were Parsis. He explains how Parsis in Bombay founded a theatre tradition that allowed people such as Hashar to flourish. Herald. How come, then, Pakistan had a very strong tradition of radio drama, especially in the 1950s and the 1960s? When radio drama eventually transitioned to television in the 1970s and the 1980s, we produced plays that were comparable to dramas of international standards at the time. Mahmood. The radio of other countries has been more focused on music than on drama, but the concept of radio drama in the Subcontinent came through the BBC, which had such a strong tradition of drama that all great British theatre actors wanted to work in it. Judi Dench would work in three different stage plays in a single day and even then she would find time to work in a BBC drama. When television was launched in Pakistan, technical advisors from the BBC came here to help us just as they had done when radio was launched in the Subcontinent. Radio also did a disservice to theatre in Pakistan in the sense that most theatre actors left theatre and started working in radio. The same thing happened when Pakistan launched television in the 1960s. Most of the people associated with theatre in Karachi and Lahore instantly joined television. Theatre, as a result, lagged behind. Audiences also became accustomed to listening to, and later watching, drama from the comfort of their homes. They became homebound. Since then, it has become very difficult to bring people out of their homes to watch a theatre play. Radio and television are not the mediums that can bear the burden of the story. It is either theatre or film where you can narrate a story. When we talk about the progress that radio and television have made in Pakistan, we must also mention their demerit which is that theatre was completely ignored in the favour of these two mediums that were not primarily meant for storytelling. All this was quite apparent from the beginning. I had seen from my trips abroad that advertising was an integral part of television programming. I used to worry: how could one tell a story if it had interruptions in the form of advertisements? As television progressed, it came as a surprise for many of us when we saw only three types of programmes left on it — live sports, current affairs and reality TV. The story cannot be told on television anymore. 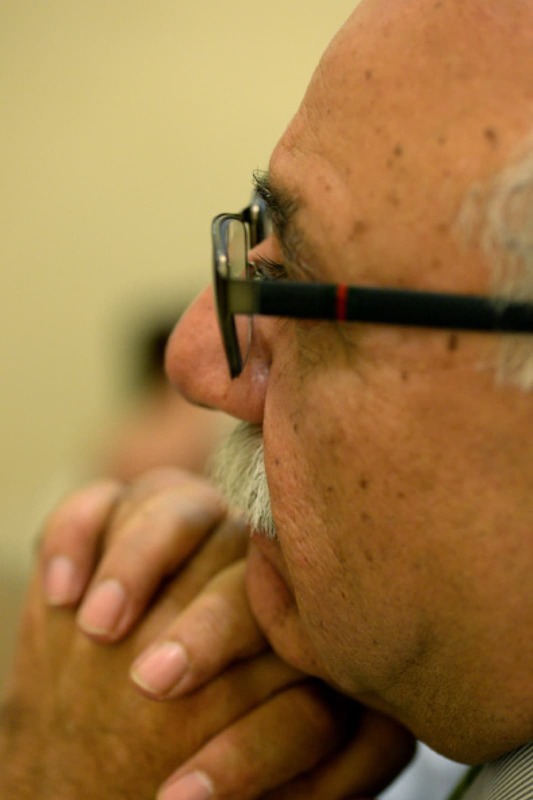 Ahmed Radio at the time was home to highly learned, capable and well read people. It was the same with television initially. The people who were best in [the performing arts] largely became associated with television and radio. For a time, the two mediums did allow literature, poetry and performing artists to come together. There was a lot of creative freedom at the time. The late Aslam Azhar, one of the founding fathers of Pakistan Television, used to recall that the work done in the early days of television was not advertising-driven. [As the head of television], he used to call a meeting of the producers every three months. In that meeting, an outline was presented to the management for the progammes to be broadcast in the next three months. According to Azhar, it was entirely the decision of producers themselves as to what would be aired on television. Now the decisions are taken by advertisers. They are the ones who are calling the shots. Herald. Why is it that some of the best television serials have been produced during the otherwise culturally repressive regime of Ziaul Haq? Mahmood. It was because a great era of television production was coming to an end, then. Consider a huge ball rolling and then consider someone resisting its momentum. The momentum generated by television in the 1970s was so powerful that it took Zia 11 years to bring it to a halt. Zia was not there to see the fruit of what he had done to television. I do not blame Zia alone. His successor governments in the 1990s – that of Benazir Bhutto and Nawaz Sharif – also did not do anything to promote the performing arts. It was really disappointing. Herald. A large number of very capable individuals must have put in a lot of effort in setting that ball rolling — multitalented people like the two of you. Both of you have produced music, acted in theatre and worked in television. Both of you have a huge interest in storytelling, poetry and other literary forms. Now both of you are teaching performing arts. This kind of creative person who does some of everything is becoming increasingly rarer. Why? Mahmood. I, too, was single-minded when I was young. Everyone grows with time and the youngsters of today will also grow, but they will have to work hard for that. How was I able to do what I did? When I started working as a music composer for television, I had very tough competition in the form of great musicians such as Nisar Bazmi and Sohail Rana. I was always under pressure from them. I was able to make my mark with persistence and hard work. Once Zia Mohyeddin asked me to compose a couplet by Ghalib in the raag Gorakh Kalyan. I did not even know what Gorakh Kalyan was. I started asking around and after a lot of searching in vain, I called Zia sahab’s wife Azra and asked if they had any recording of the raag at home. Azra told me that her husband had been listening to a recording of the same raag almost on a loop all those days. She gave me the tape. Then I sought help from books and after a few days I was able to compose a tune. When Zia Mohyeddin heard it, he was all praises for it. That is how you learn every time. Later, I became so familiar with this raag that when Khalid Ahmed asked me to compose a song for Independence Day, I composed one of Faiz’s poems, Jashn Ka Din Hai, in the same raag. Ahmed. The rolling ball has now come to a stop. Two decades ago, we could say that Pakistan had top-notch ghazal singers. They are now slowly going away from us. Similarly, the classical musicians of those times – such as Salamat Ali Khan and Roshan Ara Begum – have passed away and their deaths have contributed immensely to the slowing down of this ball. On the other hand, we are still churning out a lot of music. A lot of new people are joining the performing arts through different channels. One complaint I have of them is that they lack the thirst for excellence. Mehdi Hassan, Farida Khanum and others became what they became because of their thirst for excellence. I do not see that thirst nowadays — not even among students at Napa. One or two students may have the spark but by and large our students are very easily satisfied with what they become. They can also become easily successful. The thirst for excellence is missing from our whole society indeed. It is missing in all fields of life. Napa is unique in the sense that its students get recognised as soon as they utter their first sentence and that is why they find it easy to get work and achieve success. When their numbers increase and some start starving [because with greater competition they will find it harder to get work], then they will strive for excellence. These things require continuity. Classical music has a 1,000-year unbroken history. It is this continuity that breeds singers like Roshan Ara Begum. She once told me that she knew only 13 raags. This was because her teacher Ustad Abdul Karim Khan used to visit her village only once a year. He would stay for a month and teach her only one raag in that month. He would then tell her to practise that raag for the rest of the year. When he returned next year, he would listen to her sing and sometimes tell her to keep practising the same raag for the next year too. Great work requires this kind of persistence and practice. Once I listened to a live rendition of the raag Darbari by Ustad Salamat Ali Khan. He went on singing the raag for five hours. Nowadays, singers lose their breath after three minutes. Our public is not too different. People start talking to each other a minute and a half into a song they are listening to. Singers in the past engaged their audiences in such a way that listeners would forget everything else. I feel sad about the fact that no one misses the music that I have just talked about. Herald. The public has seen the two of you less and less frequently on television since the 1990s. Why? Ahmed. It was because the age of commercialisation had dawned. If you bring in 25 channels where only one existed before, that will not mean that all the 25 channels will get the best directors, music directors, writers and actors. Their numbers won’t multiply by 25 overnight. You can open 25 channels because you have the technology, but the quality of their content will not increase by the same ratio. Herald. Do you agree with the suggestion that art and literature can produce social change, resist tyranny and contain conservatism and extremism? Mahmood. They can be agents of change, though in Pakistan their contribution to social and cultural change has been zero so far. Art and culture will require a great deal of time to produce social change in Pakistan. A long continuity of artistic activity is required before we expect any change. That it is continuity that gives rise to the art that leads to change is evident from the stories about musicians inducing rain and causing fires with their singing. According to Mehdi Hassan, his father would be called by village elders in Rajasthan during a drought to sing the raag Megh Malhar so that it would rain. Legend has it that it did indeed rain when he sang. That kind of belief in art develops only after artistic activity has been around long enough for people to see its effects. Until we achieve that level of continuity, we should consider art only as art and not expect any social change from it. Ahmed. Art does bring change but if one thinks that a particular poem or a particular composition will bring about change then that does not happen. When an artist performs, he expresses himself and is not bothered about whether his expression is bringing about any change. Art exposes you to alternatives, to new possibilities. It suggests how a face, a scene, can be painted or portrayed in multiple ways. It nurtures a questioning mind. In my own case, Faiz’s poetry has played a very important role in my ideological development though his impact on me cannot be quantified. I cannot say that art does or does not bring social change. What I can say for sure is that a society without art definitely pushes itself towards darkness and hampers its own advancement. Herald. Do you think there is a momentum or desire among artists, the government and audiences to ensure an institutionalisation of artistic activity, like Napa is doing? Mahmood. Artists do have it and they do discuss it whenever they meet. Khalid Ahmed went to Quetta to conduct auditions for students [for Napa] there. He selected six students and brought them all here for studies. We did not charge them any fees but they had to arrange their own board and accommodation. We know how difficult it has been for them. Three of them have dropped out due to financial constraints. We have created an outreach programme but it has a price tag. We need funding to make it more robust. The money with which we have been running this academy for the past 12 years is less than that spent on erecting a fence along a stretch of motorway. It is a miracle that Napa is still running. Governments, too, sometimes show interest. For instance, the Khyber Pakhtunkhwa government approached us some time ago to look into the possibility of starting a Napa branch in Peshawar. We sent them the budget and a memorandum of understanding. They approved both. We are now waiting for their word on when to start working there. Ahmed. The private sector doesn’t have any interest in developing theatre either. Mahmood. It does have an interest in making films, but not in theatre. Herald. It is often said that today’s world is flat. Anything that happens in the United States immediately makes waves here. Any song or movie released there becomes a sensation in Pakistan. Artistic activity has been globalised. In this scenario, do you think there is a chance for Pakistani art and culture to thrive? Mahmood. Dreams don’t die, as Martin Luther King once said. It should be the dream of every creative person to present their work on a global scale. But for that dream to materialise, it is necessary that it contain [elements] the whole world appreciates. It is also possible that something produced here captures the attention of the rest of the world. This is because art everywhere has so many shared characteristics. The music of the world has more similarities than differences. All music has seven notes, for instance. But those who want to succeed at the global level must avoid the tug of war between commercialism and art. Good work may not do good business but it will still be acknowledged. Ahmed. I think cultural globalisation has its own dangerous aspects because it happens at the cost of local cultures. There is a certain homogeneity that permeates a globalised culture. It gives rise to similar clothing, similar singing patterns. Languages, cultures and musical traditions are dying in the name of cultural globalisation. There is a phenomenon called linguicide — the death of indigenous languages in various parts of the world. These dying languages are being replaced by a homogenous language of globalisation. When a language or a musical tradition dies, it is not just the death of a means of expression but the death of a whole culture because our language and music are the repositories of our collective wisdom attained over centuries. If you lose a language, you lose connection to your ancestral wisdom. When I go to shopping malls, I see women talking to their toddlers in English even when they do not belong to the section of society considered English-speaking. Resultantly, the generation that will come of age in the next 15-20 years will only know English. They won’t know their own languages, be it Sindhi, Punjabi or any other local language. If globalisation happened equitably then it would be good for everyone but this isn’t the case. In today’s world, the polarisation is so strong that we have the Taliban on one side and the Americans on the other. One offers what I consider an archaic version of religion. The United States, on the other hand, offers consumerism. There is no other choice available. You have to choose one or the other. Certain segments of our youth are so modern and so western that we have never seen anything like it before. On the other hand, there is total segregation of men and women in large sections of society. Our identity was somewhere in the middle and it’s vanishing. This is something to think about. The writers are staffers at the Herald. All middle class men in Pakistan watches Bollywood films. Wow! Very informative and insightful. Nice sum up... "Our identity was somewhere in the middle and it's vanishing". Thanks for this interview. The divide between our people is getting wider. I wish we start talking with people of a different viewpoint than us, instead of at them. These legends understand this. @SATT Yes. And increasingly although many productions are cliche'd commercial with dances/songs/English mixed dialogues, lyrics, beats and action that are purely entertainment quite a few are very good with great acting, locations, sest, cinematography, story line, etc. - Devdas, Mughal-e-Azam, Mirza Ghalib, Padmavati, Raees (banned but available on DVD), the one on Manto being made (see internet), etc. Downfall of performing arts in (West-)Pakistan happened after 1971. Despite many odds, arts and culture flourishing in Bangladesh. @R SuLTAN Middle class Pakistani men like that.Let them like what makes them happy. Many performing artists died during Bangladesh Liberation Struggle. Grear article. Art and culture has always been the domain of rich and require leisure. So in essence nothing has changed. Developed countries give more importance to the arts because they are the higher levels of human development as all creativity is that’s why their developed and we were developing but are now regressing. Excellent as The Dawn quality. Performing arts need pull from society and support from government and other private organizations. If society doesn't create the necessary pull, art forms surrender. And without arts, society dies. so its a wake-up call..